Radioscapholunate fusion is a treatment option for radiocarpal arthritis following distal radius fracture or associated with rheumatoid arthritis. 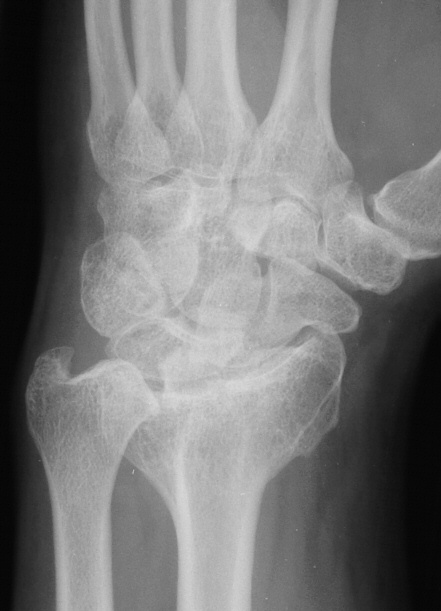 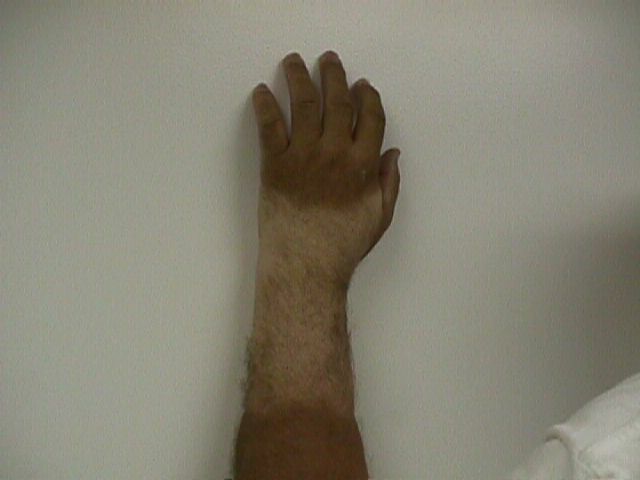 Range of motion is usually less than half of normal following this procedure. Technical modifications to improve range of motion include distal scaphoid excision, or as in this case, triquetrum excision and excision of distal ulnar articular surface to manage ulnolunate abutment. 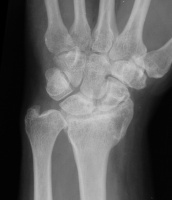 There are a variety of fixation techniques. 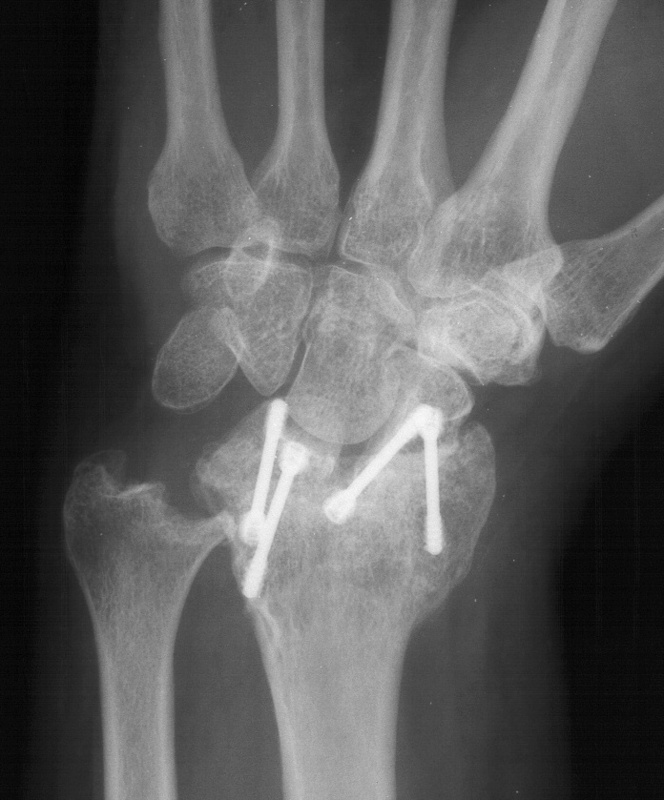 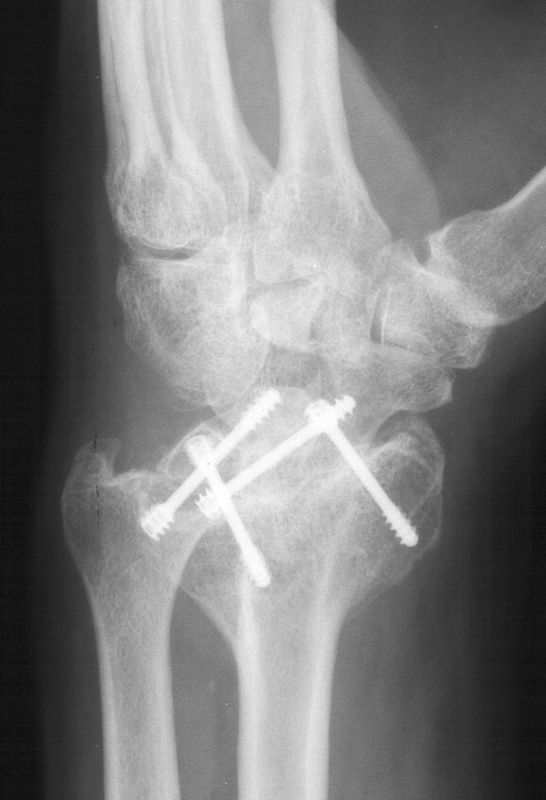 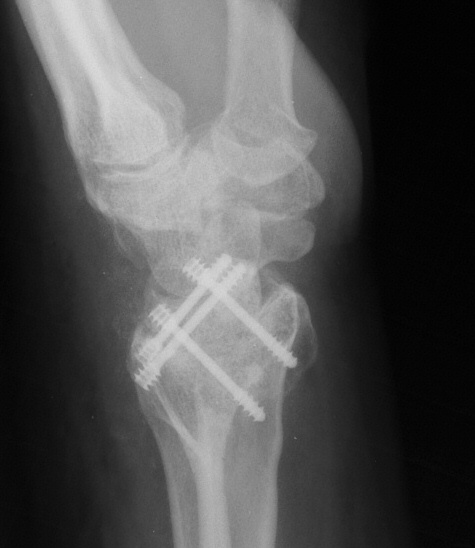 In this case, crossed Herbert screws were used: dorsal carpal bone to palmar radius and dorsal radius to palmar carpal bone.